We make the social impact! We are an explosive and passionate Digital Media and PR agency located in London. Our goal is to cut through the noise providing memorable exposure and increased revenue. We help businesses reach their target audience via a co-ordinated mix of traditional and contemporary marketing, including social media marketing, events and PR. Bombshell Consultancy Ltd is the parent company of South West London leading lifestyle blog ladywimbledon.com. Her impressive PR and media background includes the title of UK PR Manager of Sony Entertainment. While her focus is now on promoting SMEs. Sandra remains a huge influencer and entrepreneur in and around SW London as the Editor-in-chief ladywimbledon.com. Flora is our talented Social Media Manager. She is on her wellness journey and hopes to encourage you to join her. She’s proud to be voicing the importance of mind health in a world where we’re striving for unrealistic perfection. 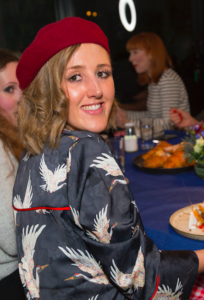 Alice is our lively PR and Social Media Marketing Account Manager, who is always up-to-date on the latest trends and most popular influencers. Alice is also capturing her adventures through ladywimbledon.com as a keen travel blogger with an eye for luxury travel and lifestyle. Milena has an experienced marketing background and knowledge that covers all digital marketing channels. 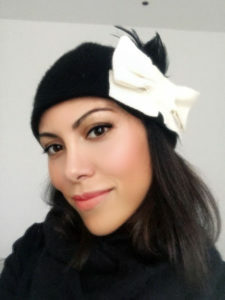 Her Italian blood infuses her innate love for fashion and style, and she recently launched Style Wimbledon, which is part of ladywimbledon.com. Get in touch now! A member of our friendly team is just a call away, or if you prefer send us an email.